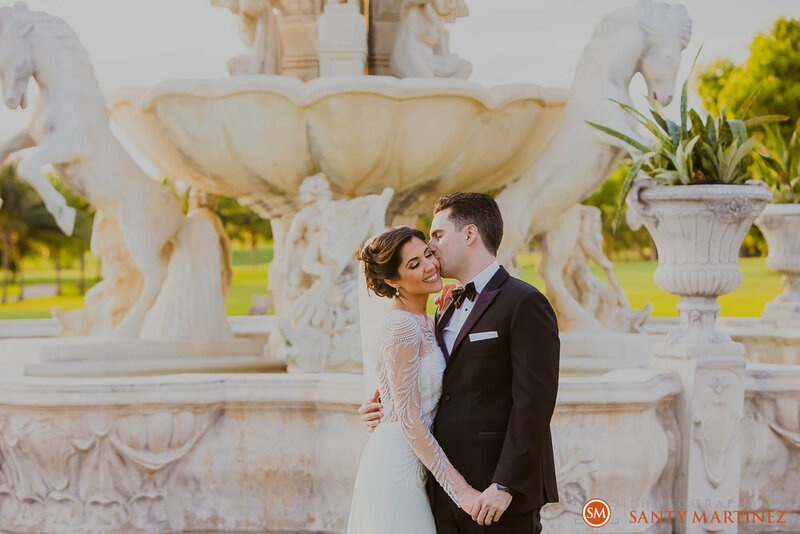 We are thrilled to share images from Rania and Andy’s post-wedding shoot at the Trump National Doral. If you follow our blog, you may recognize these two as we shot their wedding day back in October. It truly was an extraordinary event! The weather, however, was a bit uncooperative that day. We were not going to let a little rain (ok, a lot of rain) get in the way of delivering a beautiful finished product. We reassured the bride and groom that we would come back another day for a post-wedding shoot. We hope this helped both Rania and Andy enjoy their big day without the worry of missing out on the pretty outdoor photos they envisioned. 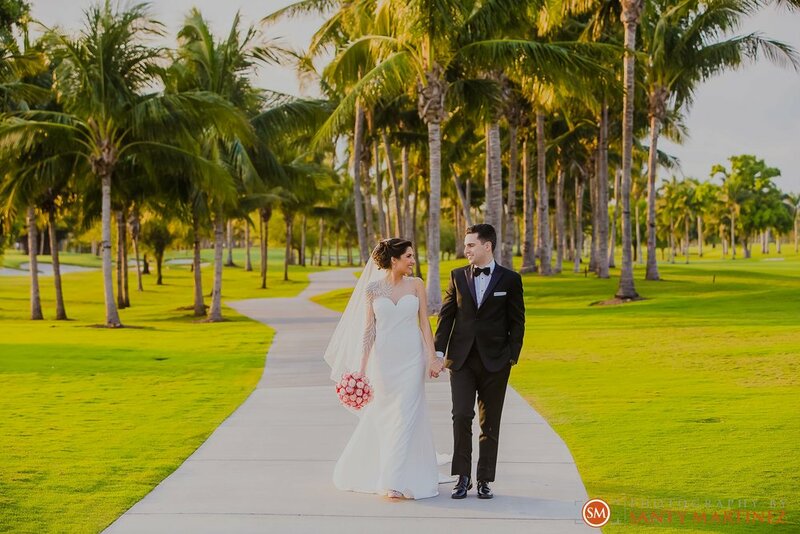 We think it worked because we were able to capture so many beautiful moments on their big day! The getting ready, the ceremony, the dances and all of those candid smiles – we hope they enjoy looking back at those memories. We want to let all future brides and grooms know, if it rains on your wedding day and we are unable to get those shots we both want, keep in mind there is always the option to do a post-wedding session. We know it’s not always easy to get back into the gown with full hair and makeup or suit up once more, but it’s the least we could be done to make up for inclement weather. We are so happy that Rania and Andy decided to take advantage of a post-session. 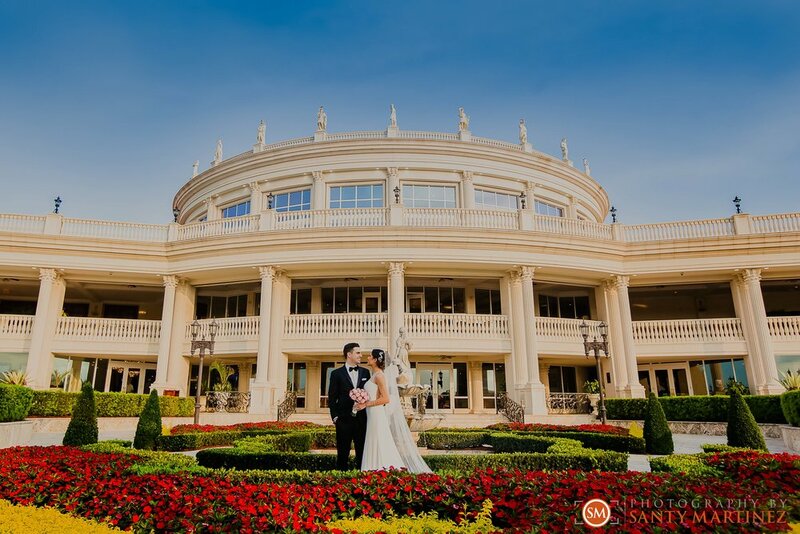 We went back to the Trump National Doral on a beautiful, sunny day. Rania looked radiant once again in her bridal gown and Andy looked as sharp as ever. It really helps that the camera loves these two – almost as much as we do! It was such a great opportunity to see them again and have a little fun around this stunning property. Their smiles are contagious – we hope they make you smile too! Please join us as we once more congratulate the newlyweds!